Just when the world was beginning to heal from the tragedy of the orca mother who carried her dead calf for nearly three weeks, another mourning dolphin mother has reportedly spotted to carry her dead calf in a similar funeral-style manner, off the coast of Australia. The heartbreaking images were shared by a wildlife organisation in Perth, Parks and Wildlife, Western Australia. In the Facebook post, the dolphin identified as Moon was captured swimming alongside the calf, pushing the baby with its nose in Perth. It was reported that the calf was already dead when located after being informed by a member of the public at Swan Canning Riverpark. Mother-Son Whale Duo Kills Baby Orca Before Mating With its Mother. The Australian organisation described it to be a "sad outcome" for the dolphin calf, which died after becoming tangled in a crab pot. It has been further reported that when a member of the public spotted the pair, the baby was still stuck in the crab, while mother Moon was swimming alongside the calf. 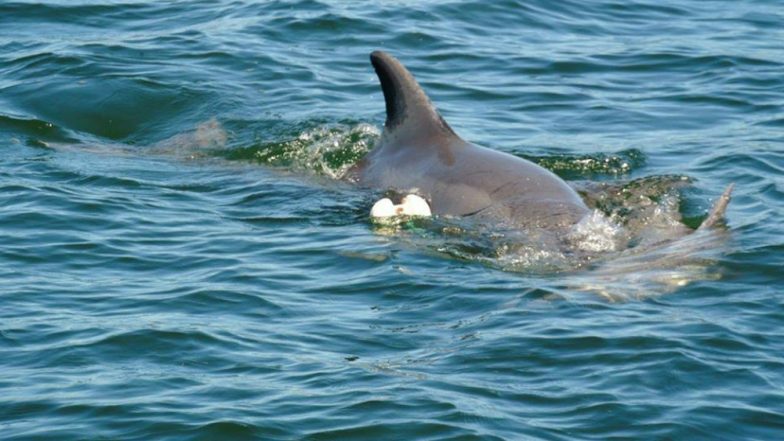 "The dead calf has since been freed from the crab pot, but remains in the water with mother dolphin as she grieves," writes the organisation on the Facebook post. At the time of writing, the viral photos of the dolphin have been shared more than 800 times, with people calling for fishing to be banned from the river. The Parks and Wildlife organisation further urged the residents to give the mourning mother space. They are requested to stay away from the pair and also reminded to dispose of all fishing lines and ropes safely. As mentioned earlier, this is not the first time this loving, albeit tragic behaviour has been observed in cetaceans. The recent images appeared after a female dolphin was spotted in February, carrying her dead calf in a distressing scene in New Zealand's Bay of Islands. Researchers suggest that whales and dolphins mourn, care for, attend and even become aroused by dead or dying members of the same species.